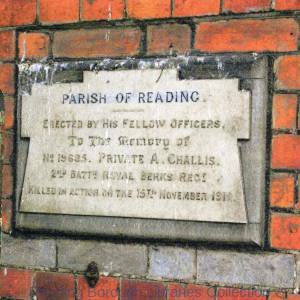 Cenotaph, The Forbury, Reading : postcard by C. E. May, Reading. 1930-1939. Black and white photograph, 9x14cm, postcard.